Samsung Galaxy S4 Mini release confirmed, price leaked | What Hi-Fi? The Samsung Galaxy S4 Mini was launched at the Samsung Premiere 2013 event and after a host of release date and price rumours, we now have something (slightly) more concrete. UK retailer Clove, has listed the S4 Mini price at £390 and sets the release date as "early July" on its pre-order page. The S4 Mini was officially launched alongside the Galaxy S4 Active and Galaxy S4 Zoom phones, and the ATIV Q and Galaxy Tab 3 tablets. See all the details in ourGalaxy S4 Mini vs round-up. UK retailer Handtec had previosly posted a sales page for the S4 Mini, pinning the price at a not-so-small £390, so it seems they were right. Samsung has certainly confirmed the release of the Galaxy S4 Mini, which will be a smaller, stripped-down version of the massively successful Galaxy S4. As expected, the Galaxy S4 Mini comes with a less impressive spec sheet but is naturally expected to be more affordable. The S4 Mini has a 4.3in qHD Super AMOLED display, 1.7GHz dual core processor and weighs 107g. It's 125mm x 61mm, and 8.9mm thin. By comparison, the Galaxy S4 has a 5in screen, quad core processor and weighs 130g, and its dimensions are 137 x 70 x 7.9mm. The S4 Mini comes with an 8MP camera and is also 4G LTE compatible, and will be available on the EE 4G network in the UK. Samsung is following a tried and tested – though not overly successful, at least in terms of reviews – method, having launched an S3 Mini in the wake of the Galaxy S3. Samsung is rumoured to be adding new models to its Galaxy family of smartphones, with an affordable Galaxy S4 Mini and a rugged design Galaxy S4 Active set to follow the flagship Samsung Galaxy S4. A smaller, midrange S4 is certainly believable, following as it would in the footsteps of the Galaxy S3 Mini, a cut-price version of last year's S3. New pictures leaked in China purport to show just such a phone (via Mashable). 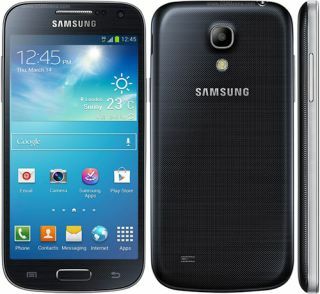 Reports suggest a Samsung Galaxy S4 Mini would offer a 4.3in display and a 1.6 GHz dual core processor, compared to the 5in, 1.9 GHz quad core specification of the S4. The S3 Mini received a pretty lukewarm response but clearly Samsung seems happy to try the same approach with the S4 – perhaps if only to ensure it offers a phone for just about everyone. Expect the S4 Mini price to come in well under the S4 - the S3 Mini launch price of £300 was £200 cheaper than the full-size Galaxy S3. Expect the specs to reflect the price, though. Rumours also point to a Galaxy S4 Active with a "rugged" finish and potentially a waterproof chassis like the Sony Xperia Z. With the plastic casing of the Galaxy S4 still attracting plenty of negative opinion, it seems Samsung might be tempted to go to the other end of the spectrum and deliver a model of the S4 that's truly built to last. A Samsung executive let slip that such a phone was in the pipeline, and the WSJ has today confirmed that it will most likely be called the Galaxy S4 Active. Reports suggest the Samsung Galaxy S4 Mini release date could be as soon as June, while the rugged Samsung Galaxy S4 Active may well follow in the summer.